Talk Today, the mental health support program developed by the Canadian Mental Health Association (CMHA), Ontario Division for the Ontario Hockey League (OHL), continues to make waves with fans in arenas across the province. 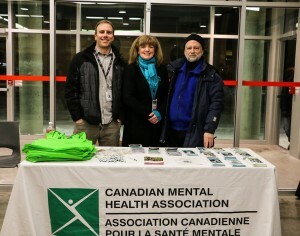 Three more CMHA branches and partnering OHL clubs have hosted game-day events recently to reduce stigma and discrimination and raise awareness about mental health. In all, more than 14 of the 20 OHL clubs have hosted game-day events, a component of the overall Talk Today program which also includes suicide awareness/prevention training and the creation of CMHA mental health coaches who are linked to each club. On the Family Day holiday, CMHA Peel and the Mississauga Steelheads hosted the Erie Otters and potential number one NHL overall pick Connor McDavid. The Steelheads and CMHA took advantage of the sellout to tout the program and stress the importance of mental health. The event garnered good media coverage. 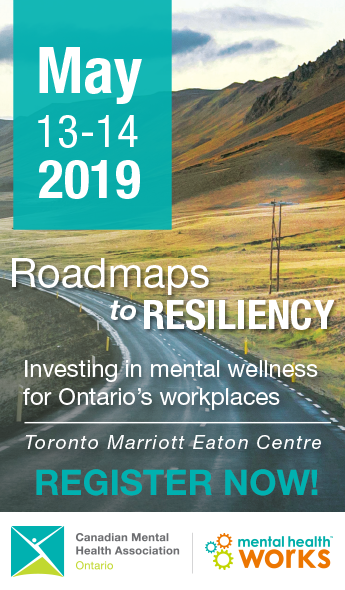 CMHA Peel Executive Director David Smith was interviewed by local print and cable outlets, as well as CBC Toronto TV (full story at 16:02 mark) and CBC Radio Canada. Not to be outdone, CMHA Lambton Kent and the Sarnia Sting teamed up for their first annual Talk Today game day event. Branch staff were pleased to speak to many fans about the program and the upcoming Ride Don’t Hide event this summer. CMHA staff commended the Sting for the club’s commitment to the cause and for an ongoing relationship with DIFD, an existing suicide-awareness initiative. And on Feb. 19, 2015, the CMHA Nipissing Regional Branch and its partner, the North Bay Battalion, hosted a Talk Today event complete with PA announcements and an interview with CMHA Nipissing Regional Branch Executive Director Georges Kristolaitis, which was played on the big screen. Fans at the game made sure to visit the Branch’s informational display, taking with them brochures and other materials. A number of requests were also made for further contact and support. CMHA staff were pleased with the number of people who stopped to talk to them, reinforcing the benefit of the partnership and the event.